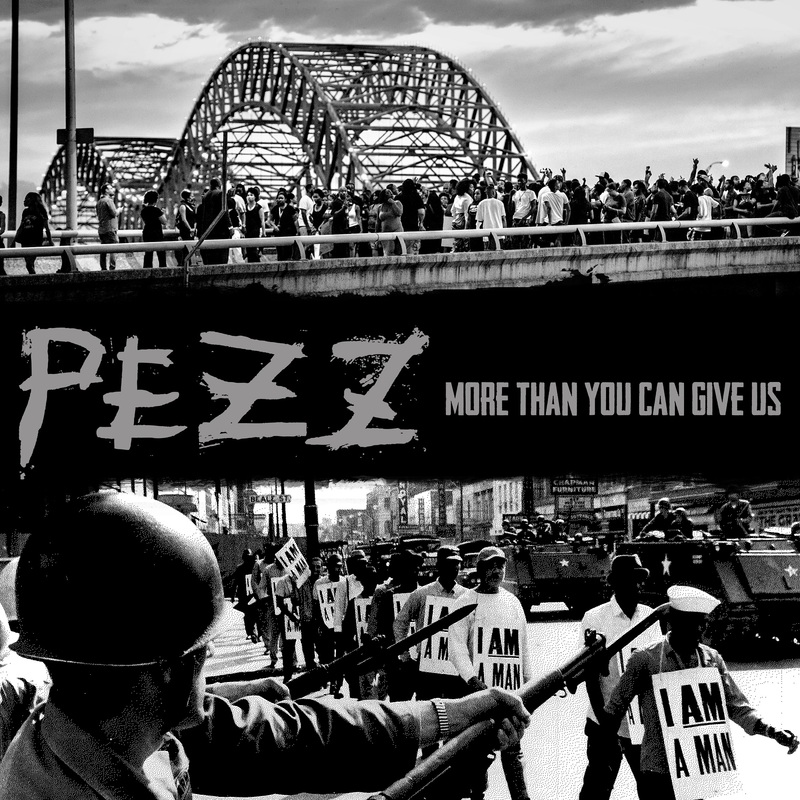 Memphis punk band Pezz are back with their first proper full length LP since 2001. More Than You Can Give Us was six years in the making and addresses a mix of personal topics as well as many of the social justice issues that the band has become known for championing over the years. 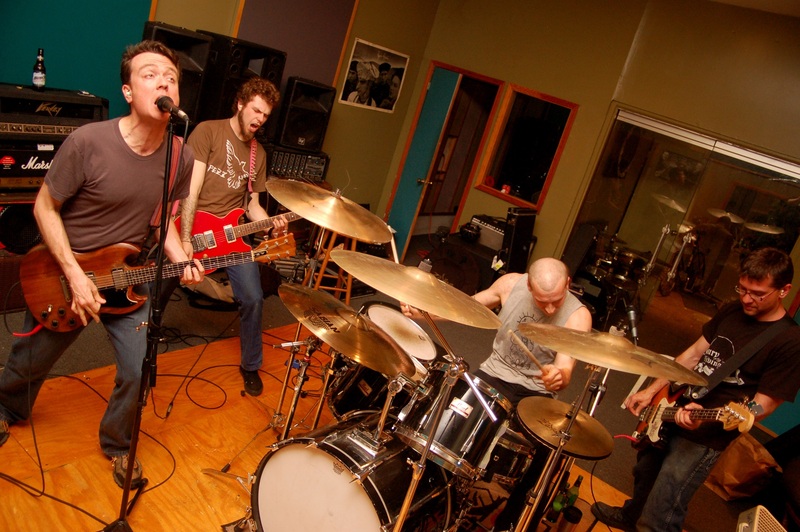 Punk has a timeless element that founding members Marvin Stockwell (guitar, vocals) and Ceylon Mooney (guitar, vocals) have clearly carried through their career, alongside current members Shawn Apple (guitar), Christian Walker (bass, vocals) and Graham Burks (drums), the band continues to deliver on their promise to create music with meaning. This album was a long time coming and those who waited patiently have been duly rewarded with an aggressive punk rock album that is franticly and furiously delivered. ‘Live Another Day’ is a perfect opening to the album with clashing melodies that morph into something cohesive. It’s a track that forms a solid base for others to build on, like ‘This Too Shall Pass’ with its rough harmonies and melodic vocals. There’s a certain atmosphere to a Pezz song that is instantly recognisable. ‘Independence Day’ for example has an honest realness to it created through Stockwell’s vocals and the climbing of guitar lines set on top of solid drumming. It’s their signature style, and they’ve really cemented their sound over the years. Closing on a killer, ‘Guilty’ is the rapid, spitfire finale with rough, almost growled vocals. It’s rhythmic with a groovy riff winding throughout, and it fully rounds out More Than You Can Give Us. For a record that was six years in the making, it shows that Pezz are taking in current issues and influences to evolve their music while staying on track as the band they are. They’ve produced something relevant, and it’s a bloody good record to listen to while you’re stuck in traffic nursing some road rage. More Than You Can Give Us is out now.